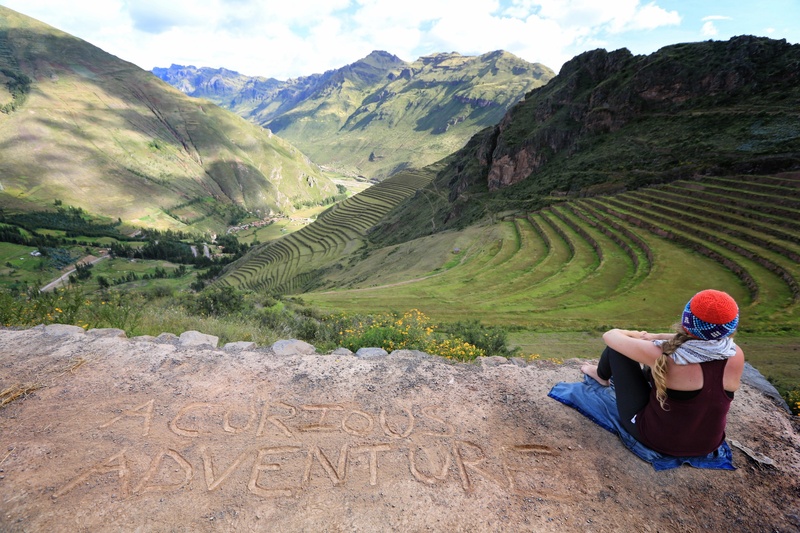 Two(…ish) Pics, Two(…ish) Sentences – starting in the Sacred Valley, Peru. Too long, too lame. I’ve started all of these long blog posts and not finished any of them. We’ve seen so much, done so much and I know that friends and fam are interested. As such, I am parking the “long blog” format until I get way caught up – who knows – I may one day fill in the blanks and upload a ton of photos but until then I need to at least give a run down on the amazing, amazing stops along the curious adventure. I’m starting after we left Columbia – lots to say still about Colombia but at least I was mildly consistent until that point, so here we go – 2 sentences (or …. close), 2 pics (or maybe 3…) on who knows how many stops – we’ll see how much I can get done tonight. If you want to see the pictures bigger that are in here there is a photo gallery link at the bottom. Our first stop in Peru was in a town most known apparently for it’s Ayahuasca ceremonies (we had no idea and we weren’t involved with that). Up a giant mountain from the town itself is an Inca ruin that seems to cover more square terrain than Machu Pichu but is visited by a fraction of the tourists; it’s a hell of a hike from starting at 9,000 some feet and ending at 11,000 – not for the weak hearted (literally) but breathtaking. 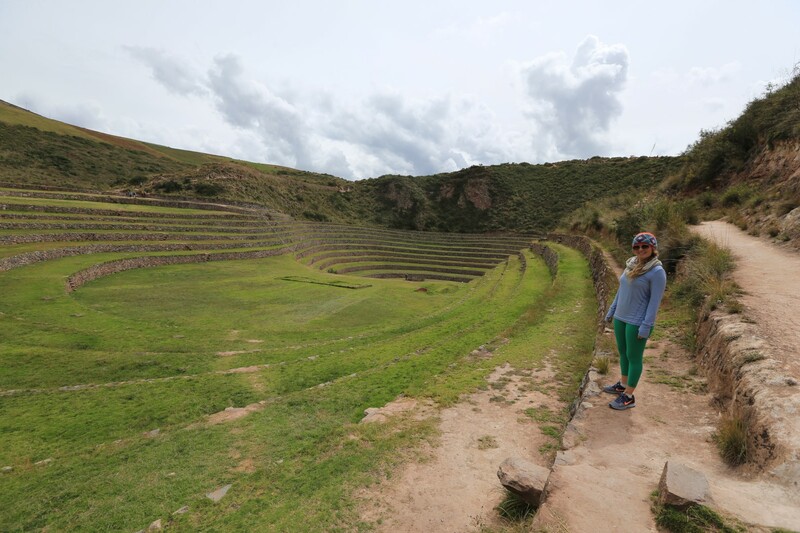 Katie admires the terraces of Inca design at the archeological site of Pisac, Peru. 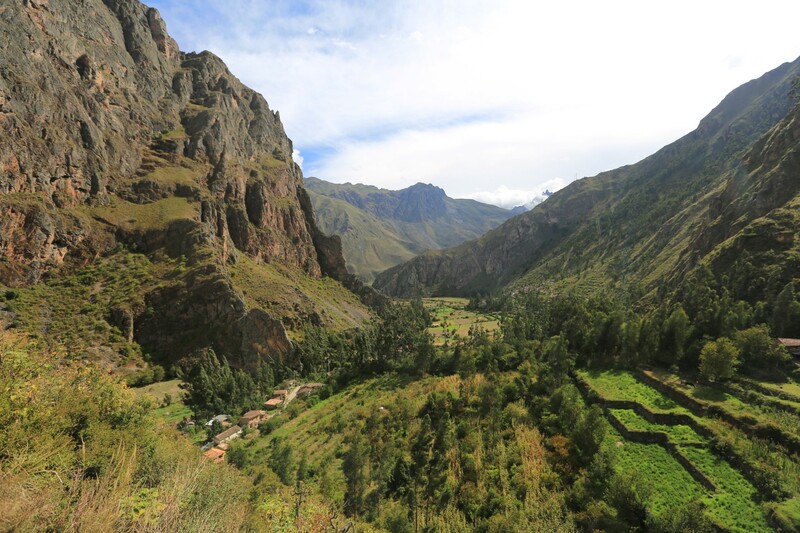 Just another spot in the Sacred Valley where the Incans built amazing systems. 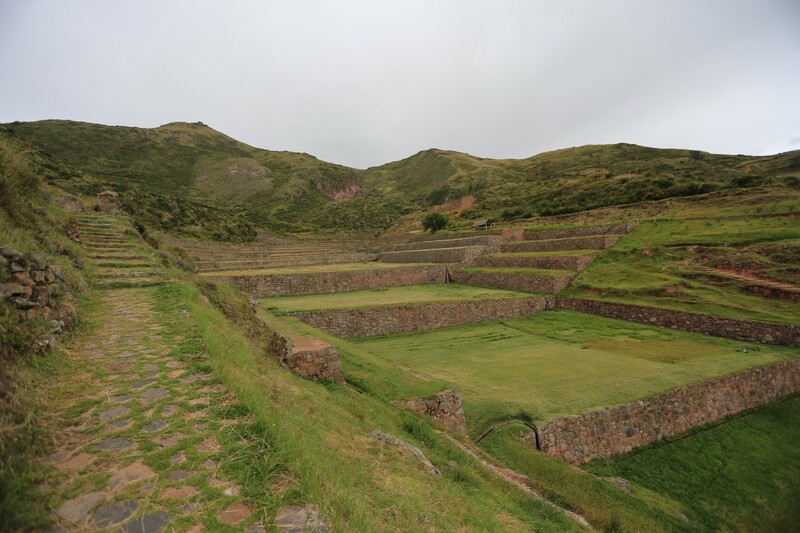 These terraces were a place where specific micro climates were applied to grow the correct crops – Quinoa on some terraces, corn on others, other herbs and plants on the outsides. All of it irrigated properly and graded to perfection. This is another place that is visited by only a few travelers who take the time to spend a few more days than just going to Machu Picchu. No, it’s not as impressive structurally but for being there nearly alone it was pretty damn cool. 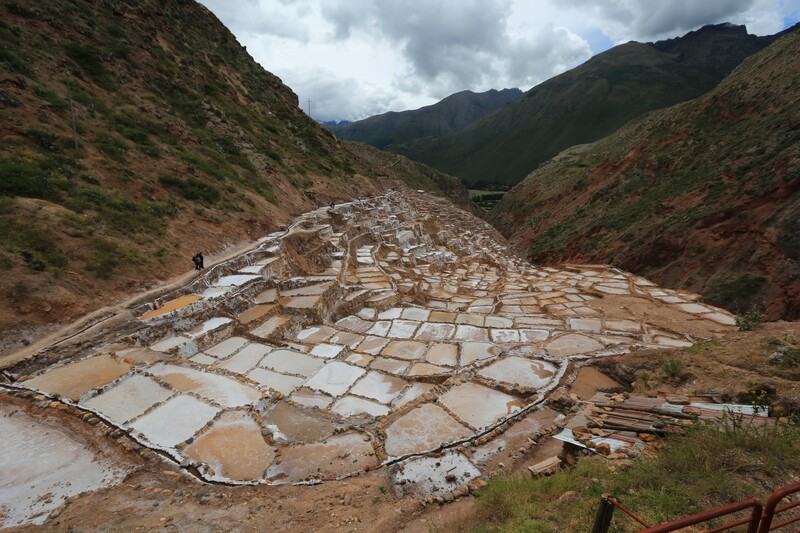 Brilliant Incas figured out how to perfectly grow crops … but they wrote nothing down! 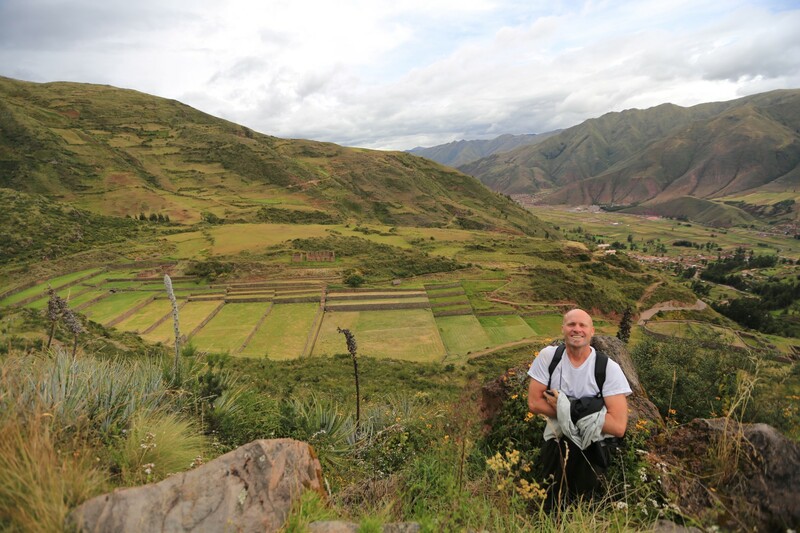 We traveled to another stop in the Sacred Valley of Peru (the center of the Inca society) called Ollantattambo. Most people take the train to Machu Pichu from here but come straight from Cusco and in our opinion they miss out on countless aspects that make this little town a treasure. 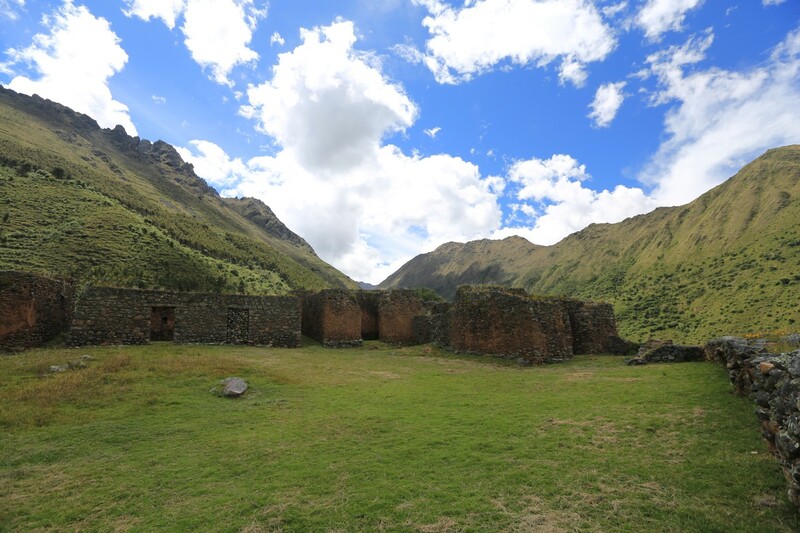 The ruins here are amazing in themselves but the town itself is what they call “The last living Inca city” – it’s a town made of all stone walls, stone paths, stone waterways and it’s still filled with traditionally dressed Peruvians. 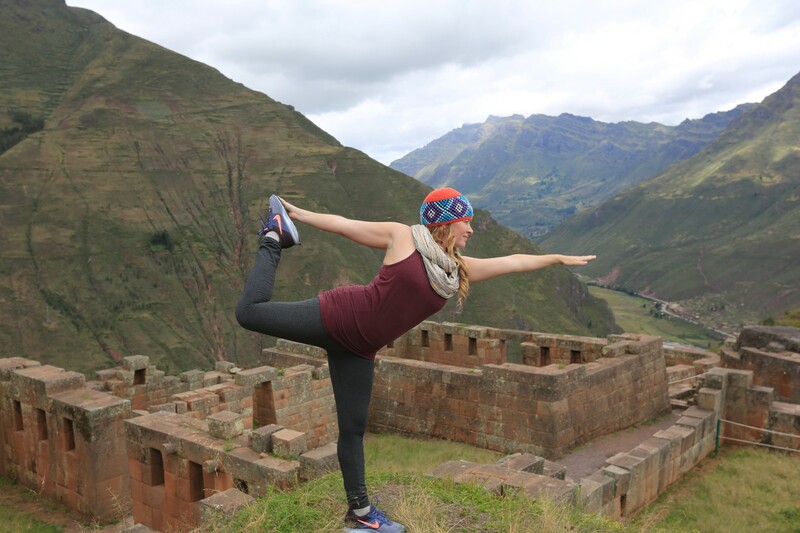 There are all of the amenities for the traveler but it feels a lot more warm, friendly and traditional than Cusco. The streets of Ollantaytambo, Peru are still made of stone. 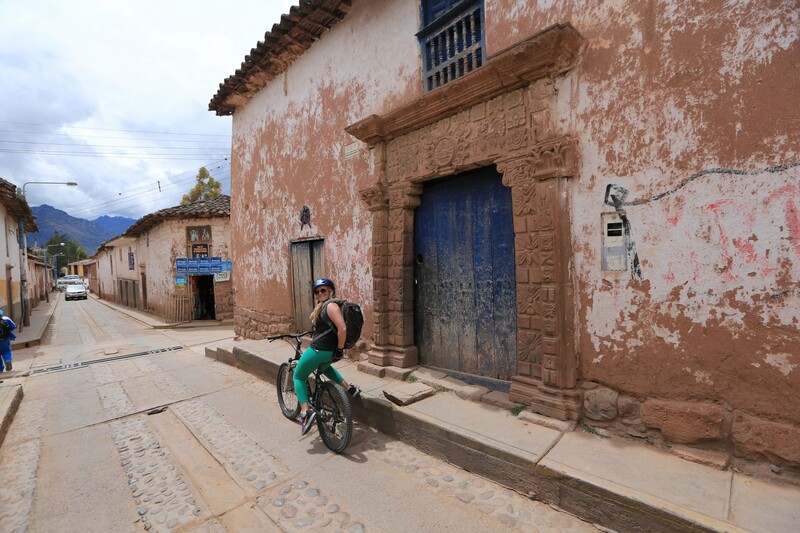 Mountain biking in Peru – from Inca Ruin, to traditional town, to salt mines – one fun ride! We arranged a mainly downhill mountain bike ride where we were drive up a couple of thousand feet to a site called Moray where the Incas refined and experimented with micro climate crop engineering techniques that they use throughout their society and then down through a traditional but currently active Peruvian town in the hills and ended up at a terraced salt mine where we were able to buy amazing, freshly harvested fleur de sel salt for pennies. Finally we headed into a canyon where both Katie and I had to more or less walk the bikes so as not to go over the handle bars and finally back to rest at Ollantaytambo. Fun and fascination all bundled in one. I’m adding 4 pics here because between the ruins, the salt mines and the trip itself there’s too much to do just 2! 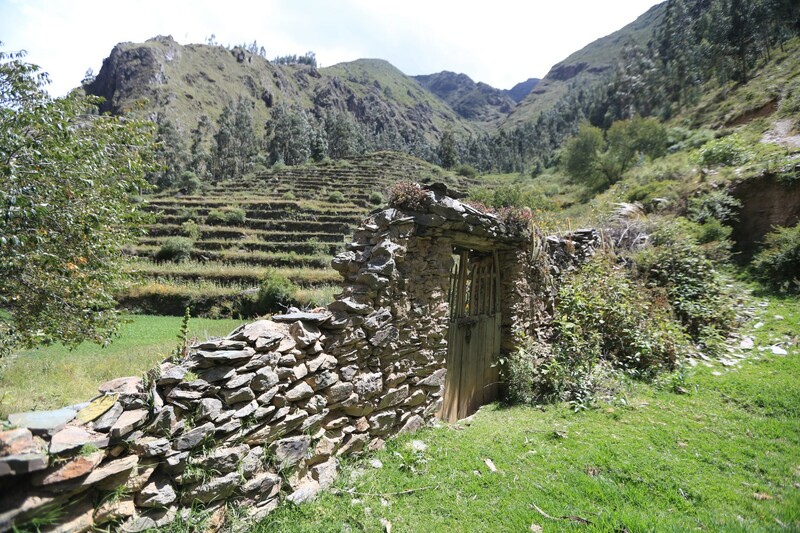 The Incas experimented with micro climate agriculture here. Each level created a temperature difference of 1 degree. Salt water flows out of the mountain into a system of canals that are fed to pools where the water is evaporated. First used by the Incas. 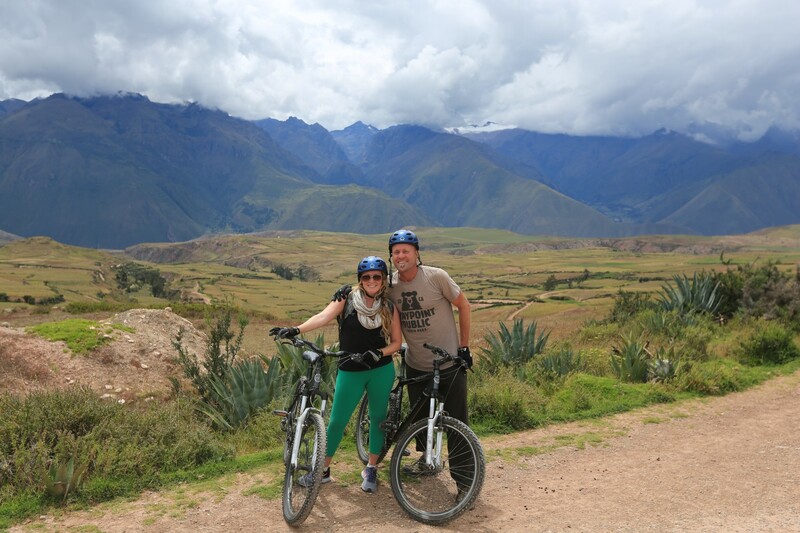 Biking in the sacred valley. Yes, I look like a dork. 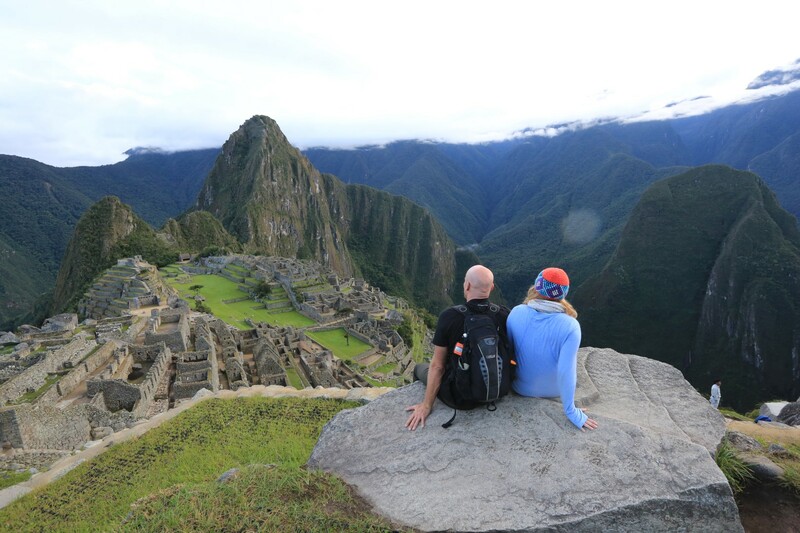 Machu Picchu – the main event? 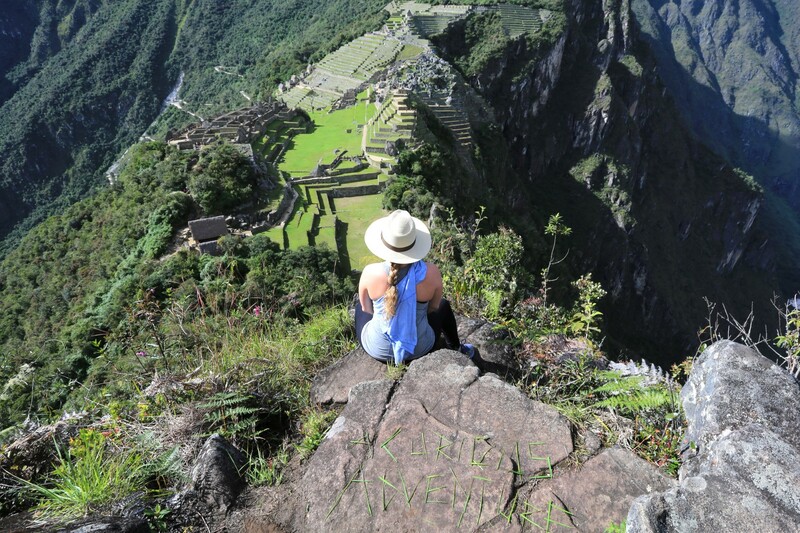 Machu Picchu is the most famous, most crowded and most expensive place to visit in Peru and everyone goes there and everyone has heard of it and still just about everyone says that it is worth the price of admission. We had a pretty fantastic day there and for me it fit the sentence above – there was something spectacular about the place and it lived up to my expectations. We were on the first bus up, we had a great guide and we had great luck with the weather. I loved it and will remember it always although I can say the same about most of the other gorgeous places we visited in Peru. 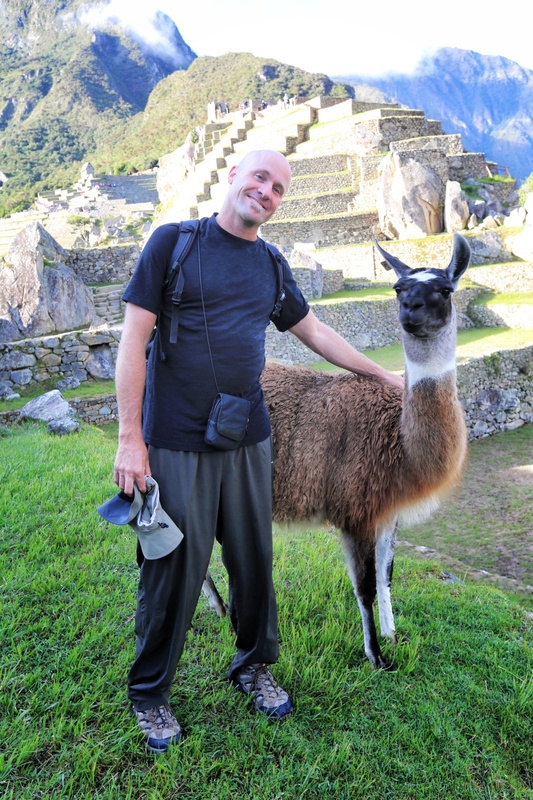 Yes – they have Llama at Machu Picchu! And they do pose for photos! Another in the series of ‘Curious Adventure’ photos – this time made out of grass. The day after the crowds I took off through the town of Ollaytan on a 10 mile round trip hike to an Inca site that is less travelled – as in – I saw no other hikers, no other foreigners, just Peruvian farmers and some Peruvian school kids. It was a gorgeous day and I felt as if I were in a different world – I ran into a rural farmer and his wife, dressed in traditional clothes having lunch of potatoes and some lettuce and some of the corn brewed malt. They called me over and shared with me and we chatted in my broken Spanish. Forgot to get a picture of them! The ruins weren’t remotely impressive or complete like some of the others but it was just as special. This was the actual ruin of Pumamarca. I felt incredibly lucky to be there. Photo Gallery of the images from above – click to open! It certainly is gorgeous and your descriptions are terrific. I feel as though I’ve been there. It’s funny, I know two couples who just came back from Peru. Actually, three. One os a woman from the woman’s club the others are Barbara and Scott Wood ( I think you remember them) and their friends. They all loved it but I’d be willing to bet the didn’t do the extras that you did. Sorry I missed your call last night, I’ll try you later. It’s funny, I know two couples who just came back from Peru. Actually, three. One is a woman from the woman’s club the others are Barbara and Scott Wood ( I think you remember them) and their friends. They all loved it but I’d be willing to bet they didn’t do the extras that you did. Wow! Awesome pictures Mark and Katie! Kind of a random question but what does it smell like in these remote places that you visit? Just want one more way to visualize it. Thanks for sharing. Thanks Mike and honest great question in Peru pretty much everywhere it smells faintly like grilling guinea pigs they eat them there for real check it out. That’s in the town. Out at the ruins it smells a lot more like fresh llama dung. It’s not an overpowering smell you might actually like it. Oh yeah and at times it smells like trash fires. The burn all the garbage. Hope that helps to build a better mental picture. SOOOO glad you found a minute to post some things !! keep it up ! whadda ya think- you are on vacation or something?? … Love the posts and pics! Brilliant pics! Thanks for posting and sharing.